Falling on the second Sunday of July each year, National Barn Day is a time for folks across the country to celebrate an iconic symbol of America, and perhaps more importantly, the American farming community. A farm is not a farm without a barn, if you ask me. As the main structures of farms, barns evoke a sense of tradition and security, of closeness to the land and community with the people who built them. Even today the rural barn raising presents a forceful image of community spirit. Just as many farmers built their barns before they built their houses, so too many farm families look to their old barns as links with their past. Old barns, furthermore, are often community landmarks and make the past present. Such buildings embody ethnic traditions and local customs; they reflect changing farming practices and advances in building technology. There isn’t much information out there on the origin of National Barn Day and its traditional celebrations, but that makes no real difference; there’s really only one way to honor the day in my opinion – a barn raising. It give a sense of community and encourages neighborly cooperation, both of which are very important to the farming culture. A barn raising describes a collective action of a community, in which a barn for one of the members is assembled collectively by members of the community. 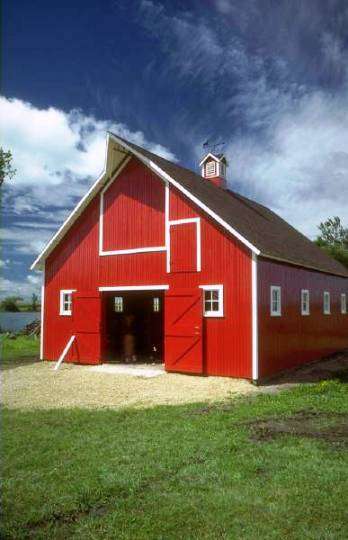 Barn raising was particularly common in 18th- and 19th-century rural North America. A barn was a necessary structure for any farmer, for example for storage of cereals and hay and keeping of animals. 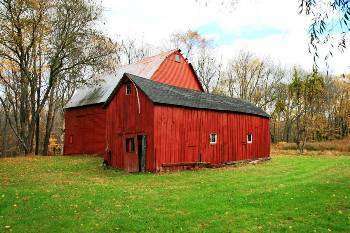 Yet a barn was also a large and costly structure, whose assemble required more labor than a typical family could provide. Barn raising addressed the need by enlisting members of the community, unpaid, to assist in the building of their neighbors’ barns. Because each member was entitled to recruit others for help, the favor would eventually return to each participant. – “He couldn’t hit the broad side of a barn” is a popular expression for a person having poor aim when throwing an object or when shooting at something. – To “lock the barn door after the horse has bolted” implies that one has solved a problem too late to prevent it. – “Were you born/raised in a barn?” is an accusation used differently in various parts of the English-speaking world, but most commonly as a reprimand when someone exhibits poor manners by either using ill-mannered language (particularly if related to manure), or leaving doors open. – “Your barn door is open” is used as a euphemism to remind someone to zip the fly of their trousers. This entry was posted on Monday, July 2nd, 2012 at 12:26 AM	and is filed under Misc.. Both comments and pings are currently closed.